Crafted in white gold, this handcuff watch boasts a serpent’s head in a striking pose. 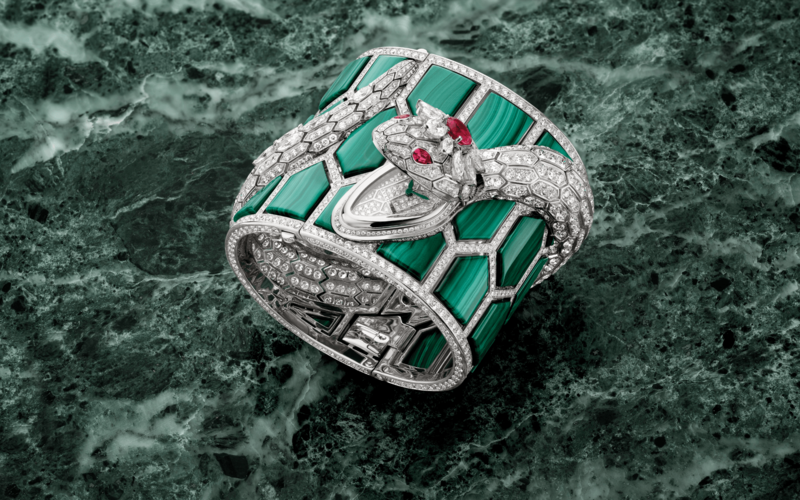 Fuelling its exuberance are 30 malachites, 18 marquise-cut and brilliant-cut diamonds, as well as two pear-shaped rubellites for the serpent’s eyes and one round rubellite on its head. Watches Would You Buy A High-End Watch Online?